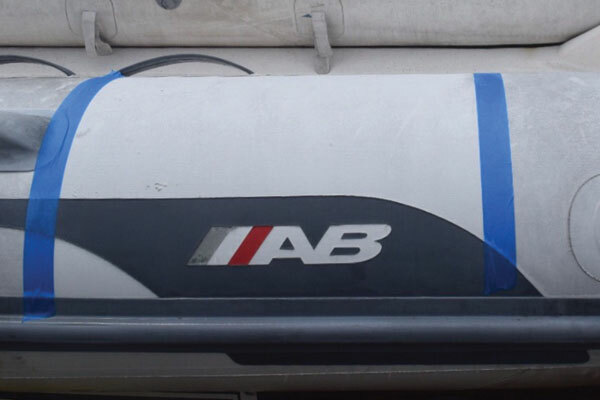 The AB inflatable was purchased new in 2005 and has traveled extensively including duty as tender on 2 trips to the Bahamas. Prior to Tom prepping and coating the tender with Glidecoat Inflatable it had not been cleaned in over a year. The AB Inflatable has seen better days. A year’s worth of usage has left the boat quite dirty. Tom decided to do a test of Glidecoat Inflatable by taping off a section and cleaning first using his conventional method – household cleaners. The boat was getting to the end of it’s life, as it’s just turned 11 years old, and I was hoping to try and get one more season out of it before replacing it. 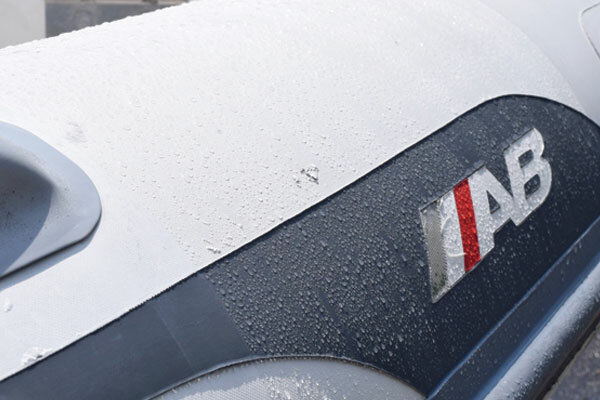 The first stage of the process was to thoroughly wash the tender with Nano Wash. The product produces a high foam content, which breaks the bond between the dirt film and the tender’s Hypalon (or PVC) Fabric and lubricates dirt particles minimizing surface abrasion. Once washed and fully dry, the Glidecoat Inflatable Ceramic Coating is then applied using a sponge applicator, applying just a few drops of coating and covering one section of the tender at a time. The tubes, as well as underneath are covered. The benefit of coating the tender is to minimize UV damage and also retain or help restore color and luster as well as to assist in reducing damage from soft impacts, abrasion and scratches. Following the household cleaners, Tom used the Nano Wash followed by the Glidecoat Inflatable Coating. Compared to the initial household cleaner, the dirt and film have been completely removed from the test section and the color is much brighter. I tried the Glidecoat Inflatable Product based on the claims it will rejuvenate the hypalon's color, while also protecting it from further UV and impact damage. Application was very simple, the color certainly looks brighter, water beads up and runs off the surface and overall, I am really impressed! 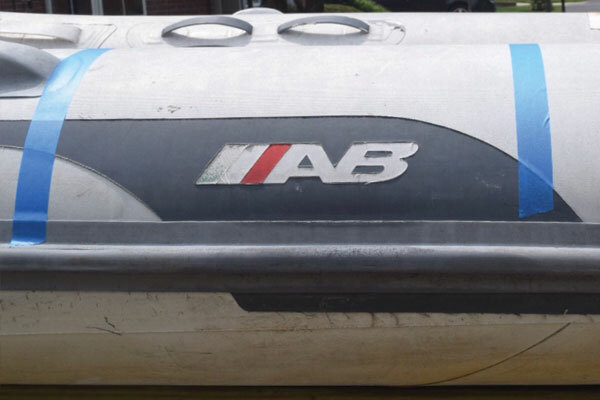 Although Tom’s tender is 11 years old, as you will see from the pictures the tender looks great and given the product will reduce UV damage by 45%, he should squeeze another couple of years of use, for a treatment that cost only $195.00 retail. After completing his test section, Tom sprayed the Inflatable. 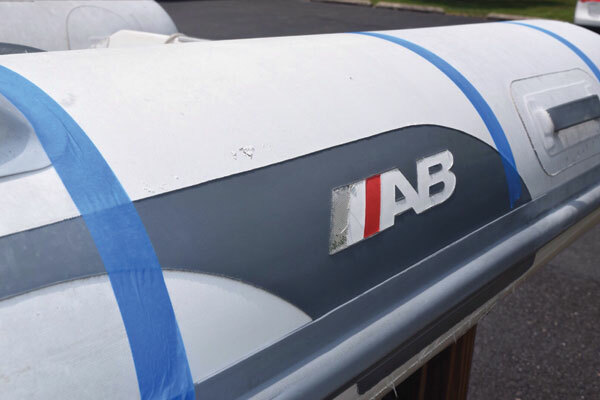 The Glidecoat Inflatable Coating is clearly protecting the tender and repelling the water.